Becoming a formal supporter of TyreSafe is open to all tyre safety awareness stakeholders. The organisations listed below are also members of the TyreSafe board. As one of the UK leading national tyre wholesalers and importers, Bond International distributes throughout the UK on a daily basis from strategically located warehouses in Pocklington, Redditch, Stevenage and Chepstow. Bond International offers a complete package of premium and budget covering all price segments of the market. They are sole distributors for Marshal, Infinity, Sailun, Jinyu, JoyRoad, Routeway and Rotalla tyres. They hold comprehensive stocks in these and all leading premium brands of tyres. They offer a ‘Virtual Warehouse’ Fastrac software package individually tailored to access stock and prices and order 24 hours a day. The company supplies a same day and next day delivery service using its fleet of over 100 vehicles. Crowned as the Tyre Manufacturer of the Year at the 2015 NTDA Awards, Bridgestone is dedicated to delivering the highest possible standards of safety in all road and weather conditions, in all regions of the world, for all types of vehicles. Established in 1931 in the small town of Kurume, Japan on the island of Kyushu by its founder Shojiro Ishibashi, today it is a multi billion pound business with 178 manufacturing plants, in 25 countries and a presence in over 150 markets worldwide. Always seeking to be the best at what it does, Bridgestone is focused on its mission of ‘serving society with superior quality’ through an enviable range of products that satisfy the needs of the customer and society as a whole. 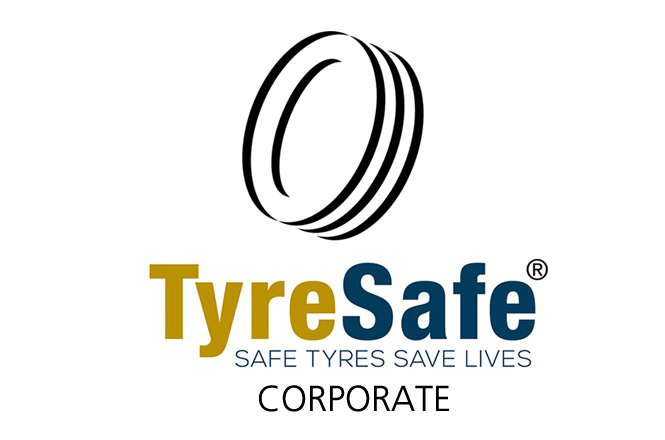 Julian Baldwin, MD of Cooper Tire Europe, stated that the company is pleased to support the work of TyreSafe, especially in raising consumer awareness of tyre safety issues. He added that the organisation also has an important role to play in addressing the challenges facing the tyre industry. Cooper Tire & Rubber Company Europe Ltd, a subsidiary of the Cooper Tire & Rubber Company of Findlay, Ohio, USA, has more than a century’s experience at the leading edge of tyre technology. Cooper produces a full range of tyres for passenger car and 4x4 applications under the Cooper and Avon brand names, together with Avon motorcycle tyres. Continental Tyre Group is committed to making mobility safer and is leading many initiatives on road safety related to tyres such as the effects of tread depth on wet braking and cold weather tyres. “Continental is pleased to support Tyresafe in raising tyre safety issues to the consumer, and in its work with other road safety bodies and transport professionals”, says Guy Frobisher, Marketing Director at Continental. Continental started production in Germany in 1871 and is now a leading supplier of tyres, chassis, suspension and braking components to the automotive industry worldwide, and as such understands the critical role tyres play in road safety. Continental is the main supplier of tyres to vehicle manufacturers in Europe and supplies more than 20 brands of tyre worldwide for a range of applications from bicycles to earthmovers. High performance tyres borne out of our passion and expertise in Motorsport. The GT Radial brand is now positioned within the top largest tyre manufacturers in the world, in terms of volume and revenue. Offering a complete product range and exporting passenger car, light truck, heavy truck and bus tyres to over 100 countries around the world. With state of the art R&D capabilities, premium quality products and a competitive manufacturing base, GT Radial is focused on building sustainable partnerships with retail partners to provide the end user with value added products and services. GT Radial is fully committed to maintaining the very highest standard of quality control procedures and has obtained ISO9001:2000 and ISO/TS16949:2002 accreditation for all of five key manufacturing plants. In addition, all plants have obtained or are in the process of obtaining ISO14001 Environmental Management System Accreditation. Grouptyre are the biggest independent tyre wholesaler in the country. With over 7000 product lines, an unrivalled delivery service and competitive pricing, National Strength Local Service isn't just a strap line, it's our philosophy. Established in 1995 Grouptyre has a proven track record distributing tyres to the fast fit, dealership and independent sectors alike. We carry over a million tyres in stock at any one time. That's all the premium brands, a wide range of budget brands, carefully selected exclusive brands and rare/slow moving tyres all from one supplier. Thanks to our nationwide, daily to on demand delivery service, from 37 strategically positioned locations, we can deliver these tyres fast. In fact, many areas are covered by multiple daily deliveries. With this unprecedented level of service and support, Grouptyre is the unique total supply solution for the tyre industry. The continual investments in key areas such as IT and warehousing have enabled us to strengthen our position and ensure our customers benefit from improved levels of service and support. Group Tyre (UK) Ltd comprises the following members: BAB Distribution, Car Tyrestore, Cooper Bros, EG Wholesale, ETB, Group Tyre Wholesale Limited, Kenway Tyres, MT Wholesale, Oak Tyres and We Sell Tyres (Wholesale). Grouptyre has a sub-contract arrangement with Tyrespot, who service the North East of England on behalf of Grouptyre. Improving safety through innovative new products which enable a safer and more enjoyable journey. The Hankook is one of the World's leading tyre manufacturers and original equipment supplier to many prestigious car producers including Ford, Volkswagen and Renault. Hankook tyres offer responsiveness and control under extreme driving conditions with ranges for passenger cars, vans, trucks, sports utility, 4x4 and ultra high performance vehicles. Hankook Tyres are proud to support and be associated with TyreSafe. 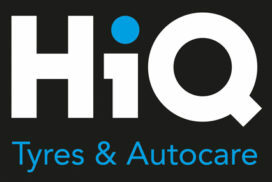 HiQ is the leading automotive and fast-fit chain with stores nationwide. Backed by the force of Goodyear Dunlop, HiQ has grown to become a major network of specialists that form a world-class supplier of safe, high quality tyres and other fast-fit products as well as MoT's and servicing. 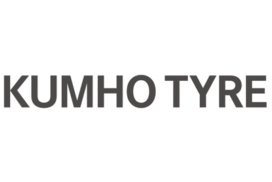 KUMHO TYRE (UK) Ltd. is the UK sales and marketing subsidiary of KUMHO TIRE Co., Inc. of Seoul, Korea, the world's 10th largest tyre manufacturer. In recent years its Kumho and Marshal tyre ranges have been consistently ranked amongst the strongest performing brands on the UK market, thanks to the support of its ECSTA Performance Centre and Marshal Platinum Club networks - arguably the most successful retailing programmes of their type. With distribution in approximately 170 countries, operations in Asia, Europe and North America and more than 23,000 employees around the world, Maxxis is one of the largest and well respected tyre companies in the world. Maxxis has created new technologies to develop its diversified range of tyre products, utilising the most advanced manufacturing equipment and engineering facilities in the industry, including its very own world leading proving ground in China. To ensure that its customers get a great choice for their tyre range, Maxxis is committed to providing them with the perfect balance of quality, value and profit potential. 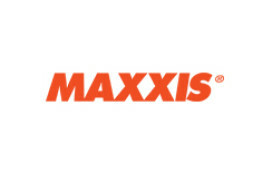 Maxxis offers its customers with a comprehensive range of high quality and affordable tyres for car, 4x4, SUV, competition car, van, light truck, road and off-road motorcycles, scooters, trailer, turf and implement, mountain and road bike. 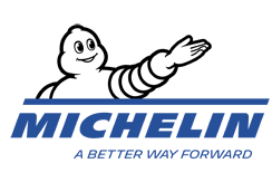 Michelin is Britain's largest tyre company with 3 UK factories and a comprehensive range of premium products ranging from cycle, motorcycle and car to van, truck, tractor and earthmover tyres, not forgetting aids to mobility including the famous guides, maps and satelite navigation kits. Its mission is to make a sustainable contribution to the mobility of people and goods by constantly enhancing freedom of movement, efficiency, driving pleasure and safety. With this importance that the company places on the safety of all road users, it is with great enthusiasm and comittment that Michelin gives its full support to the goals and mission of TyreSafe. Micheldever Tyre Services Ltd was established in 1972 and is the UKs largest and most successful independent tyre distribution company, supplying in excess of 2500 retail outlets from a nationwide network of 7 distribution depots. Micheldever Tyres guarantee the best availability of tyres in the industry at the most competitive prices. National Tyres and Autocare is the largest independent fast fit specialist in the UK. National provides tyre, exhaust and automotive services to the UK's largest car fleets as well as over 1.5 million retail customers a year, from a comprehensive network of over 200 branches throughout the UK. Pirelli offers a range of tyres focussing on high and ultra-high performance products that aim to combine a level of stability and safety in all driving conditions with excellent grip and roadholding whilst respecting the environment. Benefiting from over one hundred years’ experience of tyre technology Pirelli combines maximum levels of security, longevity and comfort in its products meeting the demands of the most exacting drivers on both road and track. Pirelli is the Official Tyre Supplier to the FIA Formula One World Championship™. Pirelli is delighted to be a supporting member of TyreSafe, and takes an active role within TyreSafe as it seeks to educate and inform on tyre safety issues. Pirelli's Chairman, Dominic Sandivasci, said "We at Pirelli recognise the responsibility of our industry to help communicate tyre safety messages and we see TyreSafe as an excellent medium to bring attention to these vitally important matters." Tyre Shopper is the UK’s leading online tyre retailer, dedicated to providing quality tyres at the most competitive prices on the internet. With many customers now choosing to research their tyre purchases online, rather than contacting a traditional tyre retailer, it is vitally important that they are made fully aware of the safety issues that surround their tyres. TyreSafe is doing a fantastic job communicating these messages to all users of tyres and we fully support their work. Viking International is the UK's largest independent tyre and exhaust wholesaler, with 8 strategically located warehouses around the UK. With a heritage stretching back over 30 years, Viking International have built an enviable reputation in automotive wholesaling for the quality of their products, the competitiveness of their prices and the speed and accuracy of their service delivery. Vredestein Banden B.V. A special company with a pedigree of over 100 years and unique combination of independence, market-orientation, creativity and flexibility. Vredestein's strategy is crystal clear: to produce tyres with an optimal price-quality ratio. As a middle-sized, independent tyre manufacturer, the best way to implement this strategy has been to operate a flat organisational structure. Decisions can be taken quickly, effectively and reliably, and enable an even faster development of original products. Thanks to heavy investment over the recent years, our production equipment in our European production base is state-of-the-art. It is perfectly geared to the complex task of producing an incredibly wide range of tyres on one site. Car tyres for summer, winter and the ever-more popular all season tyre. Tyres for vans, tyres for tractors and tyres for a whole host of agricultural and industrial applications. And, of course, our unique spare tyre concept. Vredestein UK has just completed its 30th year of trading. 30 years committed to quality service, market development and protecting UK drivers on the road. Japanese producer of high performance tyres, for your car, van and 4 x 4. Official Tyre supplier to the FIA World Touring Car Championship. Established in 1917, YOKOHAMA is the oldest tyre manufacturer in Japan. Producing over 50 million tyres each year. YOKOHAMA is and acknowledged leader in high performance tyres. Fitted as original equipment tyres to many of the worlds leading csr manufacturers including Audi, Lexus, Mercedes, Nissan, Porsche, Toyota and many more.